Yep you read that right! 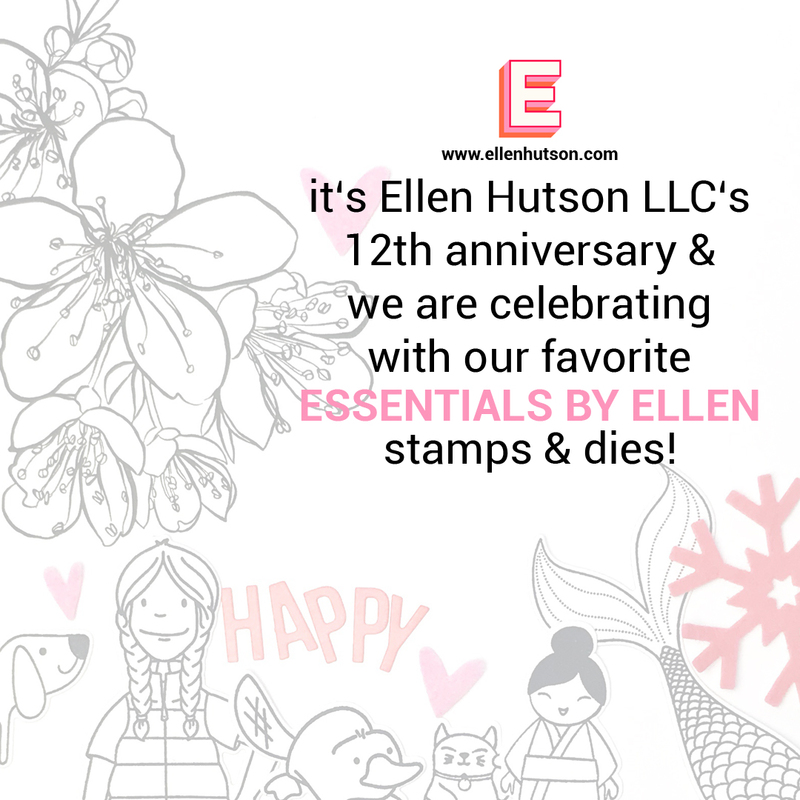 Happy Anniversary to Ellen and the whole team! We’re celebrating by making cards with our favorite stamps and dies, and today I have a fun technique that’s perfect for all of your winter scenes! 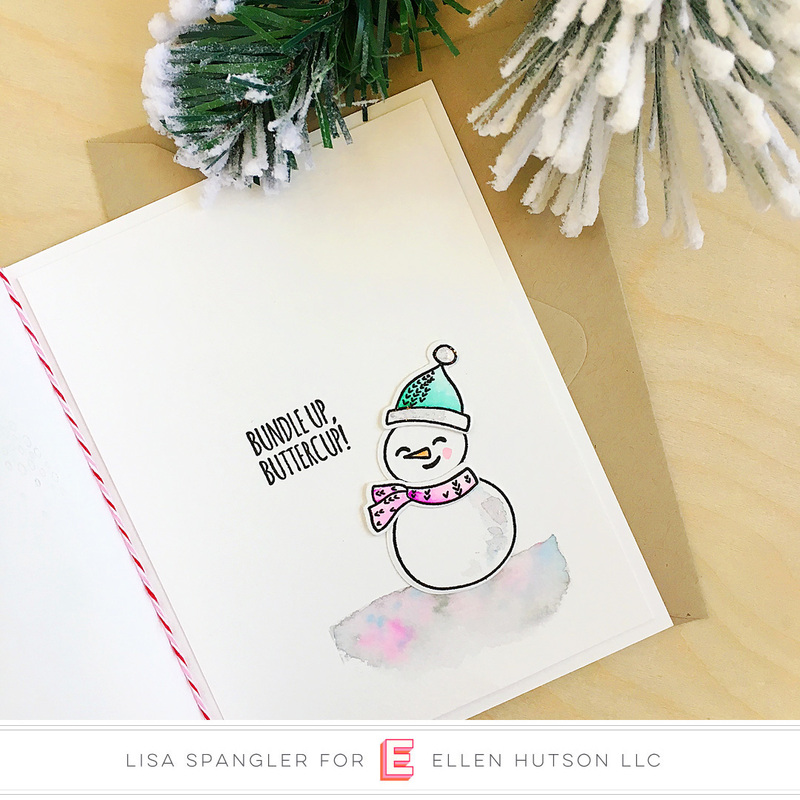 It uses some of my current favorite wintery stamps and dies, including the Essentials by Ellen Winterscapes set, Altenew watercolor brush markers, and black jack ink! I also had to bust out the Snow Buds stamps and matching dies — I can’t get enough of them! Scribble some spots of color with the markers on a plate or other non-porous surface. I used sea breeze, rubellite and midnight violet, all from the Altenew Spring Garden set. Pro Tip: using the marker directly will be too much as these colors are super vibrant! Ink your stamp with black magic ink, then mist it generously with clean water. Use a rag or paper towel to blot off some of the ink from the bottom of the hill. 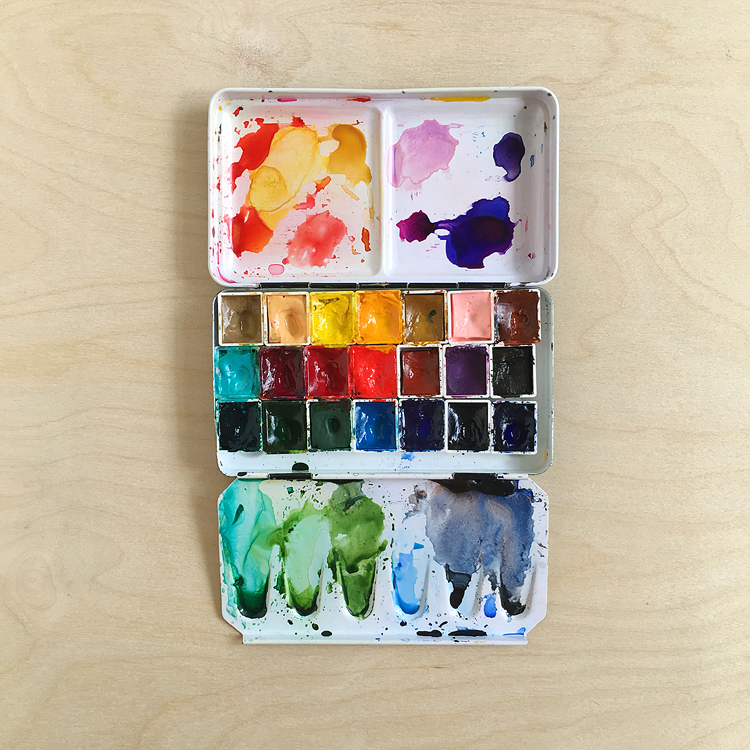 Stamp on watercolor paper, then use a damp brush to pull some of the color around and fade it out. While it’s still wet, pick up some of the marker that you scribbled on a plate with a damp brush and tap it into the stamped area. It will blend and move around — so cool! 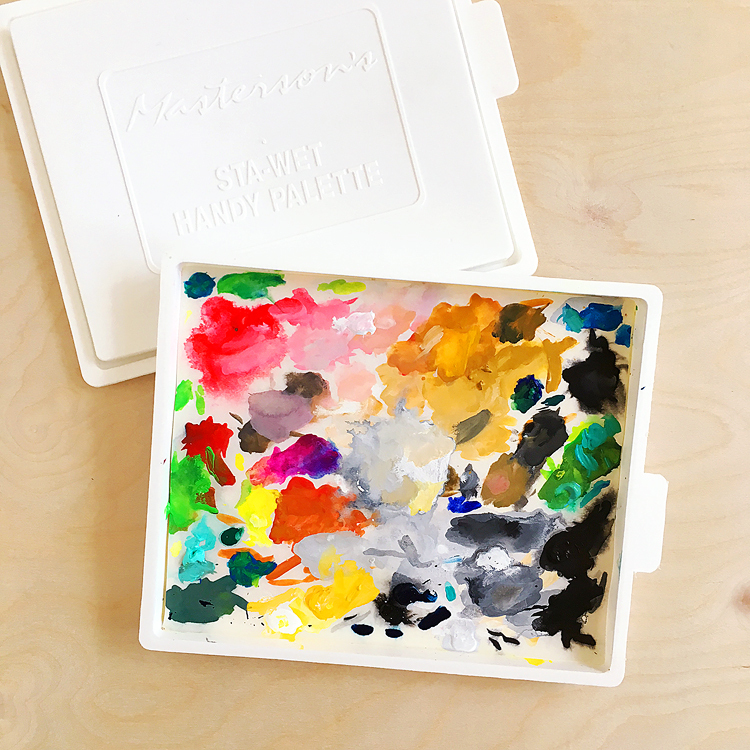 For more info on those Altenew Watercolor Brush markers, check out THIS post — they’re so versatile — and so pretty! Thanks for joining me! Let me know if you have any questions, and hope you’ll give this technique a try! Very clever and useful hint! Love the technique and the look of your card. Thank you! I am glad you are doing videos aside from the paid classes. I signed up with that company just to take your classes but now am not subscribed.